With over 60 wineries to choose from in Dry Creek Valley, it can be tough to select what ones to visit over your wine tasting adventure. While there are no wrong choices, we thought it’d be helpful to provide hand crafted, carefully thought-out itineraries each with a unique view to offer of the Valley. 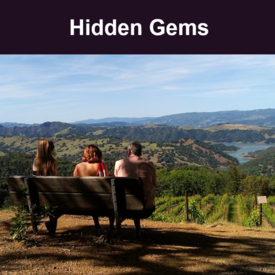 These itineraries are designed to appeal to novices and experts alike and cover everything from our Dry Creek 101 to Hidden Gems in the Valley and more. Want to plan your own Dry Creek Valley Itinerary? Visit our Interactive Winery Map where you can sort by varietal and amenity!